The recent approach has been to spam out emails that appear to be "from" the recipient. Sometimes the emails are poorly translated into Spanish, Portuguese or Greek. 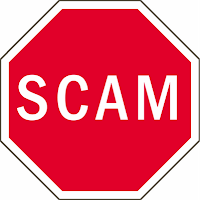 The "jobs" on offer are illegal activities such as money laundering and form part of this very long running scam that has been going on for at least two years. Mail for these domains is being routed through mx.yandex.ru in Russia. These job offers are completely bogus and could land you in serious trouble with the police. If you have an example email using one of these domains, please consider sharing it in the Comments. Thanks! Four new fake job domains today, targeting victims in South America, Spain and Portugal. These domains were all registered in the past few days. The standard email approach seems to be "from" the victim, and they are often badly translated into Portuguese and Spanish. The "jobs" on offer are not jobs at all, they usually involve money laundering and other criminal activities. They form part of this very long running scam that has been going on for years. If you have an example email, please consider sharing it in the comments. A single fake domain today, trabajo-lista.com uses the same approach as yesterday's domains, again targeting Spanish language speakers with money laundering jobs and other illegal activities. Emails will most likely appear to be "from" yourself. This particular scam has been going on now for several years. If you have a sample, please consider sharing it in the Comments. Thanks! The jobs being offered are typically money laundering (lavado de dinero / lavagem de dinheiro) which are highly illegal. It is possible that some other jobs offered may be "back office" functions, including translation into local languages. If you have any examples of mail using these domains, please consider sharing them in the Comments section. Thanks. Assuming that this follows the standard pattern of dozens of other domains, then these will be too-good-to-be-true job offers that appear to have been emailed "from" yourself. The jobs on offer will actually be money laundering or some other criminal activity. 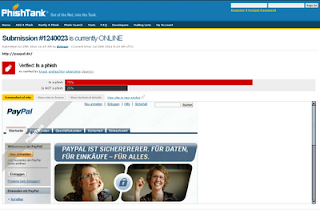 The domain was registered on 23th July, to a fake registrant "Ricardo Lopez", allegedly from Estonia. Avoid at all costs. If you have a sample, please consider sharing it in the Comments. I'm feeling quite sweary this week, so here's a stupid email from a market research company who are pretending not to be doing it for Sky (I know it's for Sky because it uses an email address only used to sign up to Sky). It's b*llocks basically. A well-known broadband provider has commissioned us here at Tpoll, an independent market research agency, to talk to people about their opinions and experiences with their TV and broadband providers. The broadband provider in question is very keen to properly understand their customers’ needs, how well the products and services they offer are meeting their needs, and how they compare to other providers. They have asked Tpoll to investigate and we have invited you to take part in an online survey to share your thoughts and opinions. This survey is organised and run under the rules of the Market Research Society. All responses will be strictly confidential and results will only be looked at on an aggregated level so please be as honest as you can with your answers. Your answers will be very much appreciated and will be extremely valuable in shaping the products and services the provider offers. Please click on the link below to start the survey - it should take 10 to 15 minutes to complete. So.. you want me to spend 15 minutes doing market research for Sky - a company that I don't use for broadband - just to help them shape their business? I did very much enjoy telling them that I don't have a TV or broadband access. Maybe this will screw up their survey. Is this spam? It's hard to tell. I have a pre-existing relationship with Sky, but I'm pretty sure I didn't opt-in for this. It would be much more honest if Sky just admitted that they were behind it. Although perhaps their relationship with Rupert Murdoch's empire might be driving them to keep it quiet.. If you've never heard of Etisalat then you are probably lucky. Etisalat is the monopoly telecoms provider in the UAE, and like all monopoly providers it is basically crap. Why am I bothered? Well, after receiving this same spam 4386 times with no sign of a let-up, then I thought it might be nice if Etisalat educated their customer. Unfortunately, Etisalat's abuse mailbox doesn't work, presumably because it is packed full of complaints and nobody from Etisalat can manage to shift their fat sweaty arses enough to look at it. Now, not getting a response to abuse complaints is pretty typical and not really worth commenting on. However, I was eventually able to get a response from customer support. And it looked promising! Thank you for contacting Etisalat Customer Care Center. Once again we thank you for contacting us and looking forward to serving you in the future. For any further clarification please contact Etisalat Customer Care Center. Kindly enable sufficient anti spam settings or add filters in your email to overcome the situation. Wait.. what? The solution to Etisalat allowing customers to spam is.. basically to block email from Etisalat? So basically it is just too much effort for Etisalat to actually do anything. Maybe the airconditioning is broken in the Etisalat support offices and their arses are just too fat and sweaty today.. Anyway, 86.96.226.150 is the culprit to block but if you follow Etisala's own recommendations then block email coming in from 86.96.226.0 - 86.96.239.255 (86.96.224.0/20) just to be on the safe side. 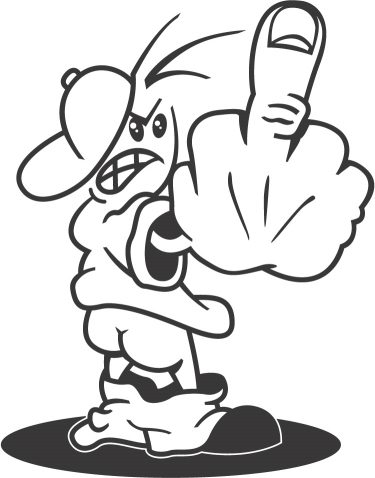 And Etisalat, in the words of the FCC Song, f*ck you very much. 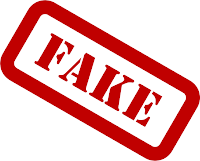 Just a single fake job domain today, world-chilecv.com is an addition to this long-running series of so-called job offers which actually turn out to be money laundering or some other criminal activity. This domain was registered only yesterday. Avoid. The Epsilon Data Breach from a few months back certainly made headlines, but I haven't seen much in the way of spam activity that I could directly attribute to it. Until now. Don't miss unique employment opportunity. The company is seeking for enthusiastic representative in United Kingdom to help us spread out our activity in the Europe area. - Only basic knowledge of Internet & computer. Candidates must be smart and commerce motivated. Operate only few hours per day. Everyone located in the United Kingdom can become our representative. Current News : honor rolls for monday, july , . At first glance it looks like a standard money mule spam, but there are two odd things. One is the "Subject" line which has the actual name of the spam victim. Not their email address, their real name.. more of this in a minute. The other odd thing is that the "From" address appears to be valid, and the email really has originated from Hotmail, presumably in some sort of auto-generated spamming account. The inclusion of the recipient's name in the subject is the odd thing. In this case, I had a bunch of largely unrelated users in different countries with very similar email messages. So where had the names come from? Well, there were a couple of anomalies which gave a clue.. in two cases the "Subject" name was a family member, and not the actual recipient. This narrowed down the possibilities, and it became apparent that the users had registered for something in the name of a family member, but using their own email account. And in one case that tied directly to a company which was a victim of the Epsilon data breach. 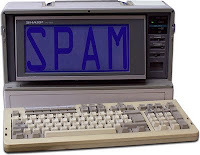 Looking over the other spam recipients, the majority were on the mailing list of Hilton Honors, Marriott Rewards, Marks and Spencer, Capital One or other Epsilon customers. Some didn't fit the pattern, but were connected with Pixmania, Plentyoffish.com and Play.com which were all hacked at about the same time. So perhaps the spammer's list is made up of data from more than one source. Do I know for sure that this is connected with the Epsilon breach? No. But the inclusion of the family member's names indicates that they were harvested externally, the majority of users could be shown to have a connection to companies involved in the Epsilon breach, and the small number who couldn't seemed to be users of other breached companies. This spam was very crude in its actual pitch. But I'm guessing that this will be the first of many more targeted spam/scam emails using this stolen data. Christwire.org is a satirical site about religion, not a million miles away from The Onion in terms of content. It's quite a popular site in the US. 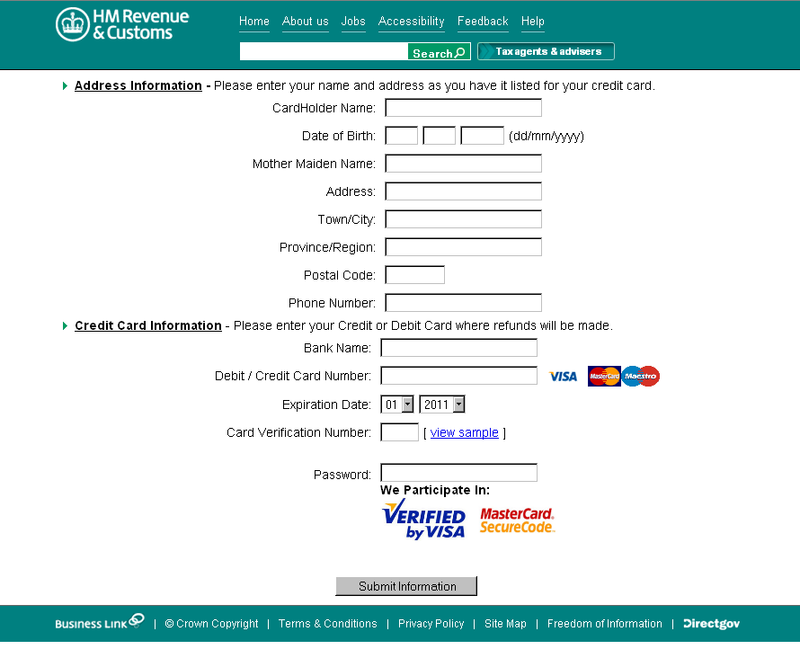 Unfortunately, the site has been hacked and the .htaccess file has been altered. Visitors Googling from "Christwire" (I suggest that you don't try this!) get redirected to a URL at sokoloperkovuske.com/in.php?pp=138 .. but if you visit the site directly, then you don't see anything. This type of trickery is quite common as it make it harder for the site owner to detect the problem. 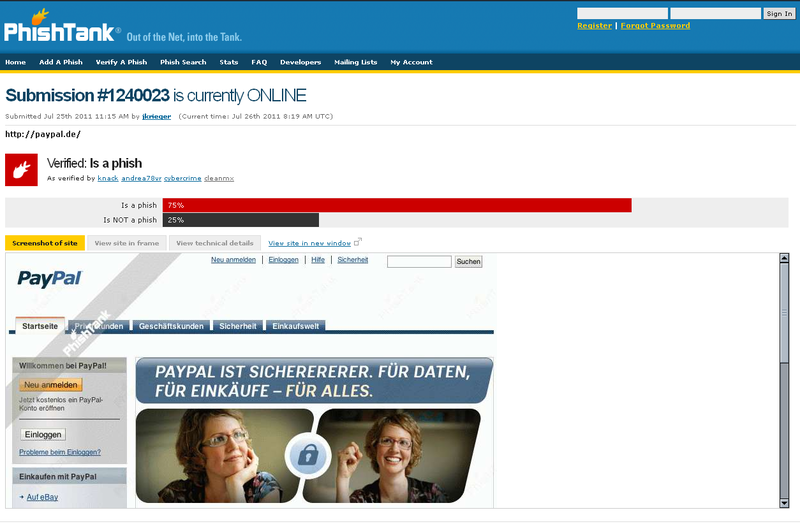 sokoloperkovuske.com is registered with fake registration details and is hosted on 91.220.0.19 which is SIA Business Aviation Service in Latvia (Latvia is a common place for the bad guys to hang out). I would recommend blocking the entire 91.220.0.0/24 range to be on the safe side.. the SiteVet report shows a sharp uptick in malicious activity for this AS. Visitors are then redirected to a fake anti-virus site at www2.bestaholder.co.cc which is multihomed on 112.175.243.24, 112.175.243.21, 112.175.243.22 and 112.175.243.23 in Korea. Those servers have a lot of .co.cc sites.. it's worth blocking access to ALL .co.cc sites if you can. Almost identical in every way to this injection attack, several Dreamhost sites have been compromised with a page called yahlink.php (it was yahoolink.php before), which is being spammed out through compromised AOL accounts. It isn't just Dreamhost hosted sites that are being spammed out in this way, but it does appear that well over half the sites are on Dreamhost. It looks like some GoDaddy customers might have been hit too. Users are then directed to another host in Romania, 188.229.89.230 which belongs to Netserv Consult SRL. It is my opinion that there is nothing of value in the entire 188.229.0.0/17 range and you can safely block access to the entire lot. ..although blocking access to the Romanian 188.229.0.0/17 block would also pretty much acheive the same thing without blocking access to any legitimate sites that might be on Dreamhost. 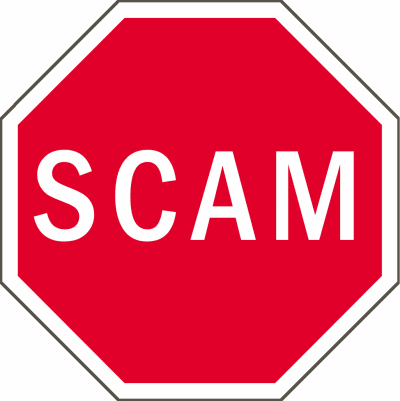 Five new domains offering fake jobs (actually money laundering and other illegal activities), forming part of this long running series of scams. If you have a sample email soliciting replies to one of these domains, please consider sharing it in the comments. The domain hotmailbox.com often comes up when looking at malicious domains, it's a domain used to provide a bulletproof email address for domain registration. 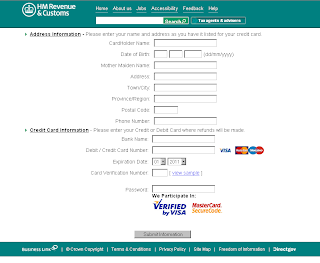 The registrar for hotmailbox.com is the scammer's favourite, BIZCN which probably explains why it has lingered for so long. There are several hundred domains registered through email accounts at hotmailbox.com, all of them are bogus and follow a similar pattern with bogus US addresses. Most of the domains with active websites are hosted in Romania, in netblocks that have a known bad reputation. You can download a list of domains, IPs and MyWOT ratings for at least some of these domains here [CSV], or if you just want a plain list then keep scrolling down. Not every site in those ranges is part of this group, and indeed there may be a few legitimate sites, but you are much more likely to come into contact with a malware site on these IP addresses than a real one, so treat them as "high risk". If you have any examples of domains using hotmailbox.com that are not listed, then please consider adding them to the Comments. Two new fake job domains that form part of this long-running series, job-britain.com and job4america.com are pushing fake job offers which will actually be illegal activities like money laundering. These domains were registered just yesterday to a fake registrant called "Leonid Pravduk". Avoid. If you have samples of the spam emails using these domains, please consider sharing them in the comments. These job offers will typically involve illegal money mule operations and other fraudulent activities. Unless you enjoy jail time, they are best ignored. If you have any example emails, please consider sharing them in the comments! If they are this stupid when it comes to doing business then I would advise giving them a wide berth. Update: now 4386 times and counting! Sapphire Town Real Estate "Labour Camps" spam. Just add slaves. This spam for labour camps was so important to the sender that they sent it 300 times (and counting). Just add slaves, I guess. And in jolly Comic Sans too! Originating IP is 86.96.226.150 in the UAE, all attempts at contacting their abuse department bounce. Classy. We offer a wide variety of labour camps for rent in ALMUHAISNAH 2nd (Sonapour), AL QUOZ, JEBEL ALI and DIP with your exact requirements and reasonable price. Labour Camps & Warehouses for Sale. Residential Building For sale in Bur Dubai. This E-mail has been sent to you as a person interested in the information enclosed. If you have received this e-mail in error please notify the originator of the Email If you want your Email to be removed PLEASE reply to info@sapphiretown.com to ''Remove from list''. We sincerely apologize for the possible inconvenience. A trio of domains being used to push fake jobs (such as money mule operations) and other illegal activities, part of this long running series. The domains were registered just yesterday. Avoid any offers soliciting a reply to these domains. 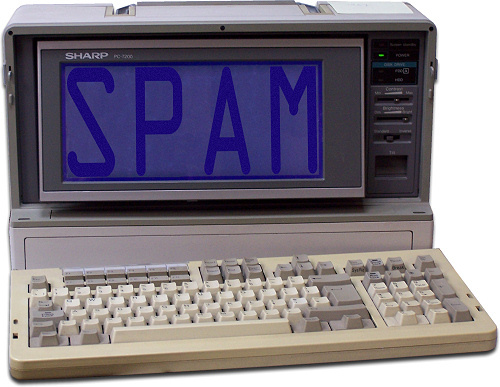 If you have an example spam email, please consider sharing it in the comments. Thanks!